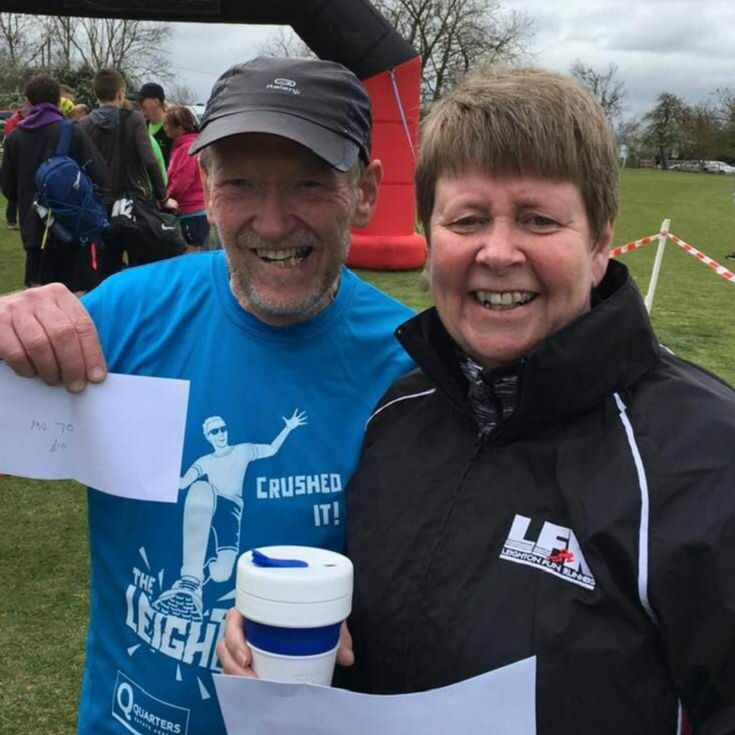 Leighton Fun Runners > Latest News > This is the week that was….the Leighton 10K! 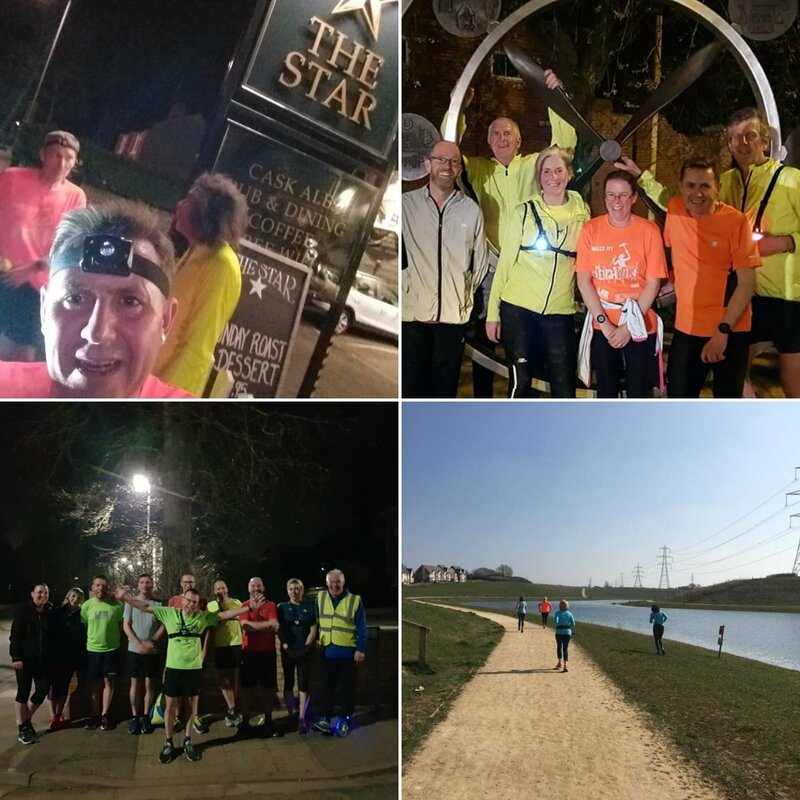 Before heading to our main event, let’s have a quick recap of the week gone by… Tuesday saw us run to the pub and back again! The legend we call JK had his first go as the Master of Pain on the Fartlek whistle – everyone finished smiling. More pain next time, JK. Jen took charge of the Improvers on Thursday making them do sprints, bands, star jumps and lunges up the steepest of hills. 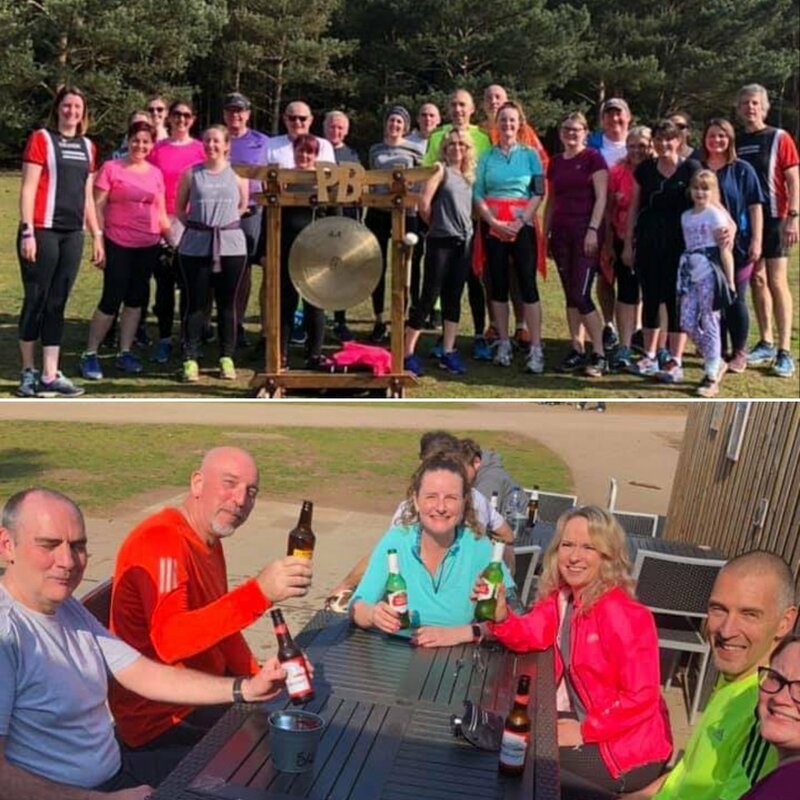 And Vicky led a Friday morning social run in the glorious weather – the lake looks beautiful in the sunshine! 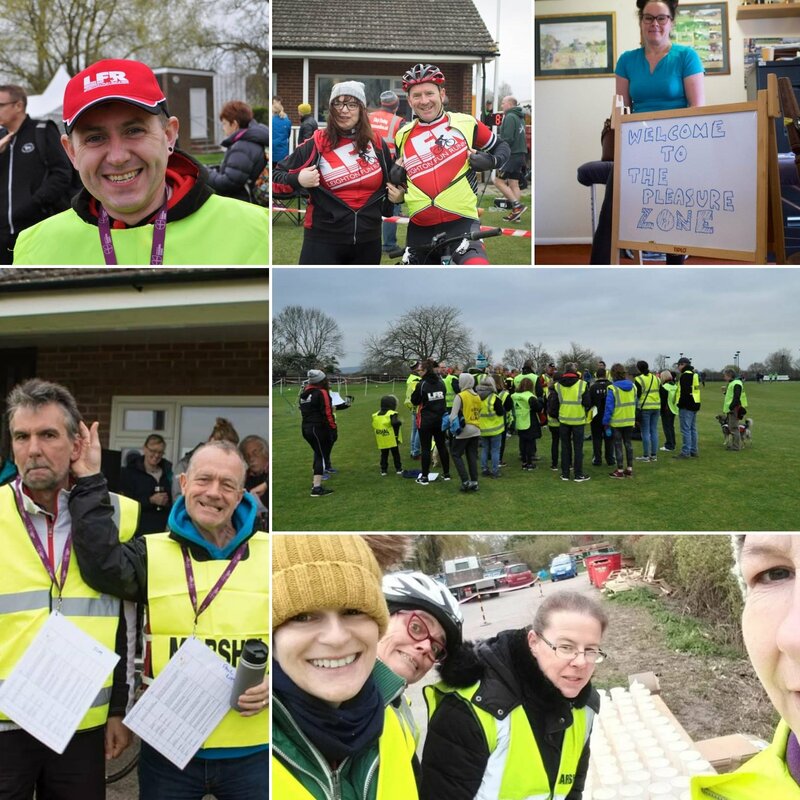 On parkrun day we had members at Milton Keynes, Rosliston, Houghton Hall, Kingsbury Water, Exmouth, Dunstable Downs, Millennium Country parkrun Forest of Marston Vale (yes it has a really long name), Richmond Olympic (Len's in Canada again) and of course, Rushmere. At Milton Keynes David was running his parkrun anniversary. In one year his time there has progressed from 31:31 to 21:37. What an incredible achievement! At Rushmere we had a massive 44 LFRs! Steven, Kevin and Andrew took their places in the top 10 with Mr Sugars and Mr Hare bagging themselves PBs; Mrs Sugars came in third lady; mini LFR Arriana ran herself a course PB (now beating her mum’s time! ); David, Elle, Caroline, Ami, Jen, Annabelle also ran PBs! Some of the 44 were Debbie’s Couch to 5K runners who having completed the course tackled one of the toughest parkruns. Excellent running all of you and I think it was a couple of you who bagged PBs! And they all finished with a post run beer. Superb! 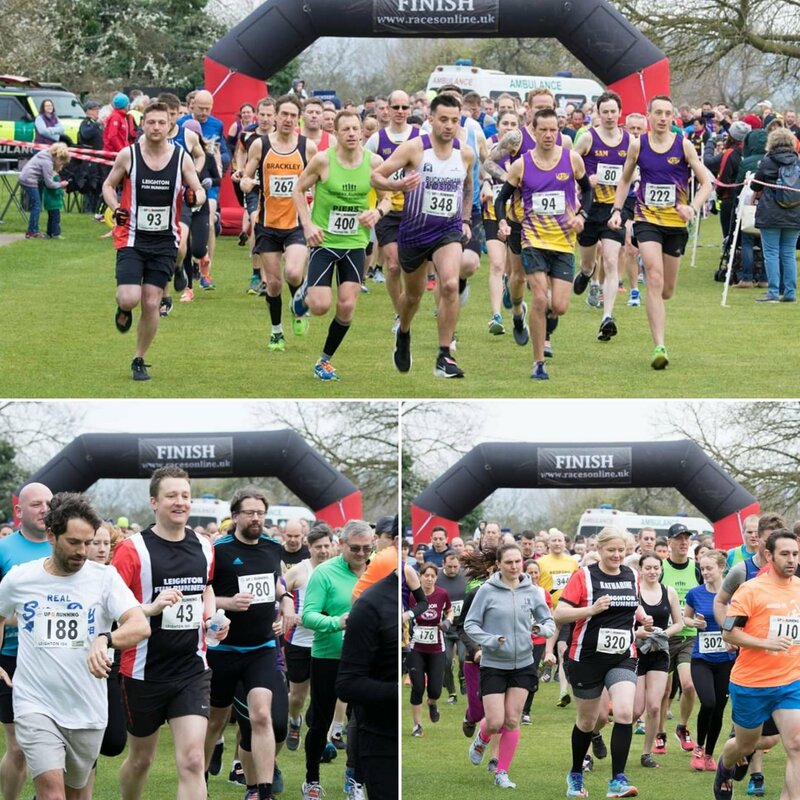 Whilst the majority of the club were busy at some 10K event over the weekend, other members were also busy getting in the training runs, rides, swims and some were taking part in other events: Elle and Mr Elle were at the Bedford Running Grand Prix Half Marathon. Both absolutely destroyed their PBs with Elle taking 5 minutes from hers! Also at Bedford, but running the 20 miles was Duncan smashing out a great run. The Legend was back marathon running this week and doing what he does best at a navigational trail marathon at Thaxted. Great work, JK! Now…this 10K event? Of course it was LFR’s brand new Leighton 10K! If you were not already aware, we were forced to move from our usual route this year due to a housing development and traffic restrictions on the roads we normally use. And we moved to Long Marston Cricket Club! 347 runners finished our new route and the feedback we’ve had so far is that everyone loved it! 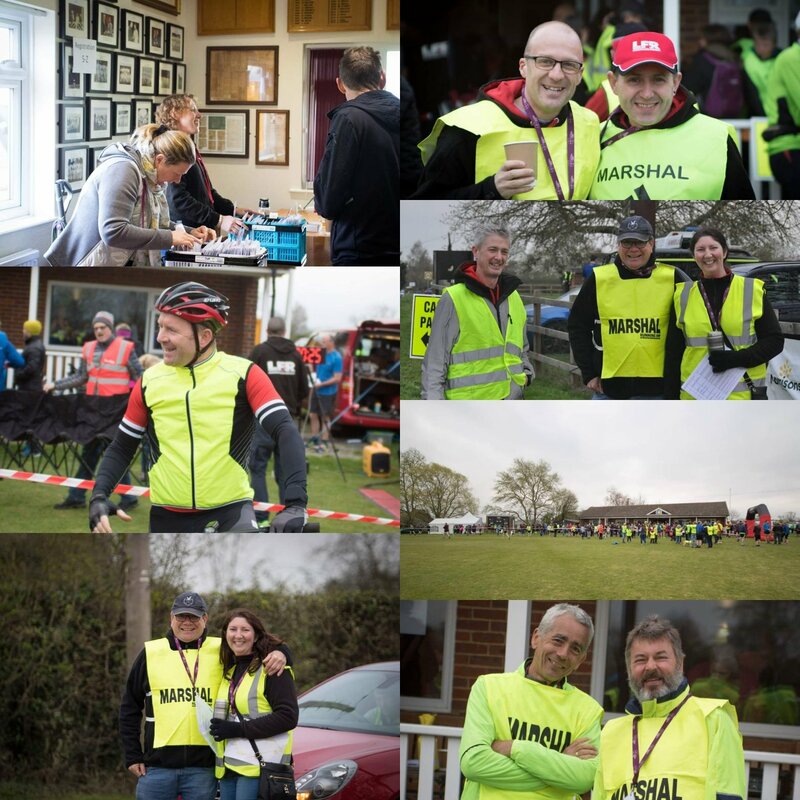 There has been a massive amount of praise all over social media for our wonderful marshals. Thank you every single volunteer for the event: the cake bakers, the setting up team, the design man, the man with the van, the take down team, the marshals, the car parking people, the water station team, the pleasure zone, registration, baggage, tshirts, cake givers, tea makers, bacon sandwich makers, photographers, tail walker, lead bike, finish team, and of course our wonderful Race Director and the Captain. We could not have put on this event without every single one of you. Thank you. (Also – whoever made the jam tarts, these were a personal favourite). Thank you to our sponsors Quarters Estate Agents and The Rocci Tree. 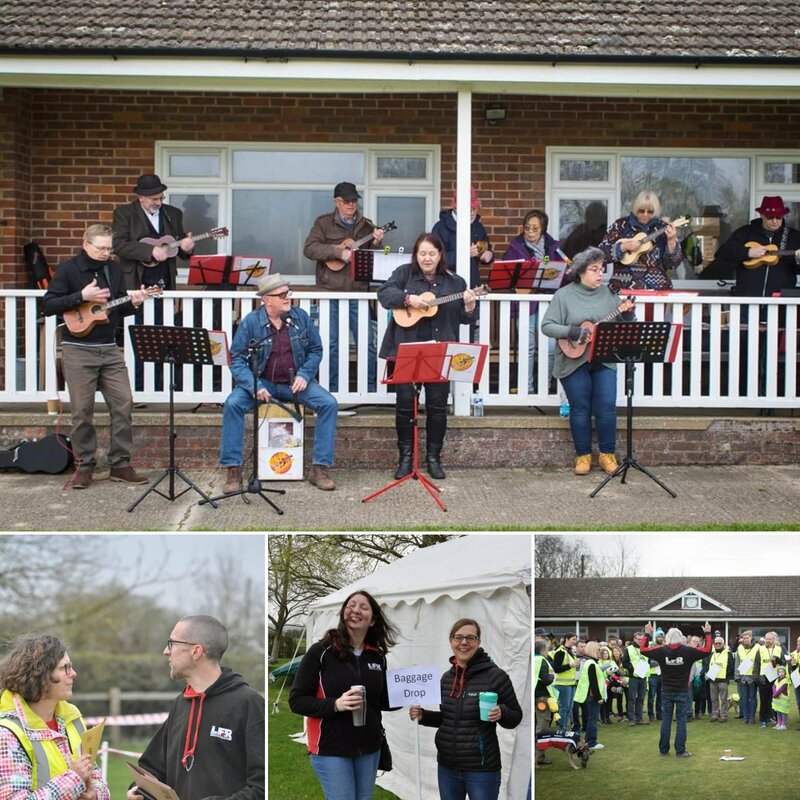 We'd also like to thank our hosts, Long Marston Cricket Club, Miles Scaffolding for the loan of their field, The Queens Head Pub, Morrisons, Ukie Toones and The Guitar Ninja for the music. Thank you also to every single runner who entered and ran. The race can only work when we have runners who run and enjoy the race so a big well done for coming out. It was a tough ask for runners and volunteers on Mother’s Day AND with the clocks going forward. The coffee was in high demand. Second in the Ladies Race was Sarah King from Redway Runners and third was Nicola Mellor. Some superb results and even some prizes for LFR! 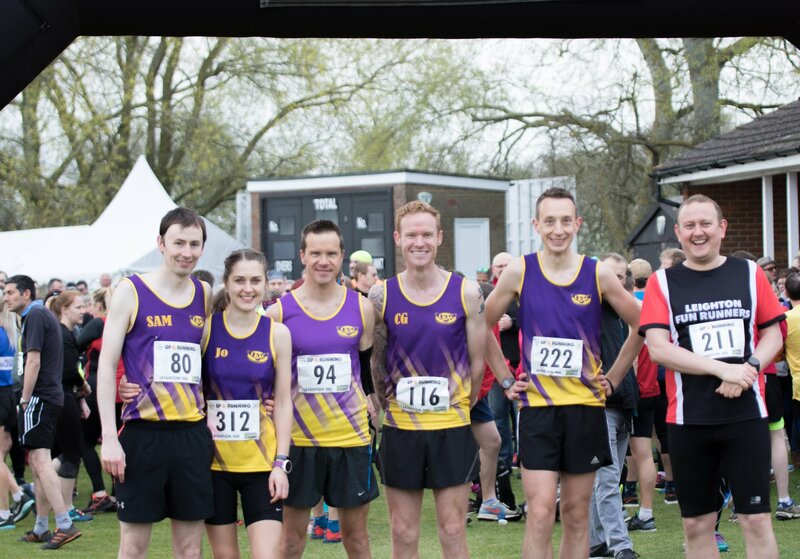 The first LFR home was of course our young star Tom Ellerton coming in 6th overall and bagging a 10K PB of 38:01. There is no stopping this guy! A 37 minute 10K is coming…. The first LFR lady home was….yes you guessed it….Katy GL! Even dressed as a fried egg she smashes out some superb times. 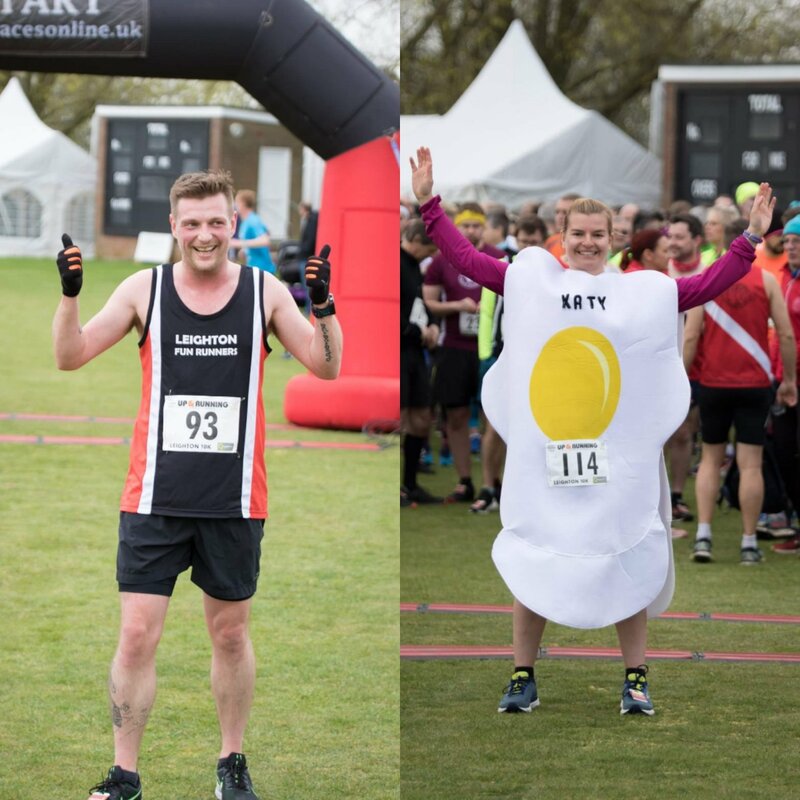 Katy is training for VLM this year and is hoping to get a Guinness World Record for the fastest marathon dressed as an egg. You’ve got this, KGL! We had a total of 26 LFRs take part in the end. It was fantastic to see each red and black come across the finish line. Some superb results from you all. A massive shout out to LFR member Claire Bartlett. For the last few weeks she has been working with Coach Matt and his team on a 5K to 10K course and completed her first ever 10K event with us on Sunday! Superb effort Claire! Photos will be made available online soon. We will email all race participants with details and let members of the club know when these are online. So that’s it for another year. Look out for the next one! Have a great week, LFR and friends!